It can be argued that New York is the penultimate state in the union for public golf, with the NY-Metro Area as the epicenter of that action. No matter what your golf need, you can find it at one of the nearly 1,000 challenging and incredibly scenic golf courses throughout the state. Whether it’s lessons, clinics, family time events, leagues, or tournaments, you’ll find it in New York State. A great golf vacation begins anywhere along the New York Golf Trail, from Mansion Ridge in the Hudson Valley to Malone Golf Club, ranked as one of the state’s best places to play. Cooperstown’s Leatherstocking Golf Course is one of the east’s most scenic and challenging, calming bogeys with charming views of Lake Otsego as the course sweeps its western shore. Canandaigua’s championship-designed Bristol Harbour Golf Club nestles in the heart of Finger Lakes wine country in the shadow of the Bristol Mountains, inviting you to break Jack Nicklaus’s course record there. Mill Creek’s bent-grass greens are a unique design with mild dips, providing a challenge as you play through 320 acres of rolling hills, rock creeks and waterfalls at Rochester’s newest 18-hole championship course. Mountain courses add a twist with mountain terrain, water hazards, doglegs and two-tier greens; among them Blackhead Mountain Lodge & Country Club in Round Top. 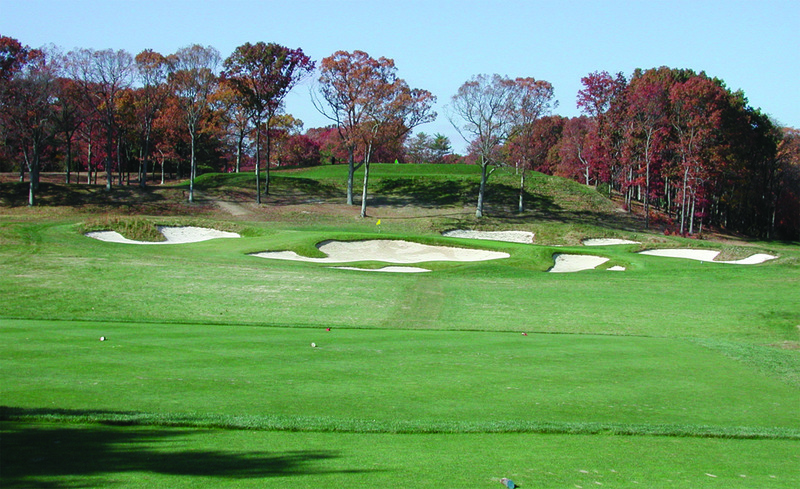 Bethpage State Park also makes Golf Digest’s top ten with five world-class courses including the renowned Black Course, two-time site of the U.S. Open. It’s one of New York’s 29 state park golf courses that ranks among the best public courses in the world.